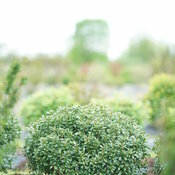 Love boxwood but struggle with disease or winter damage? 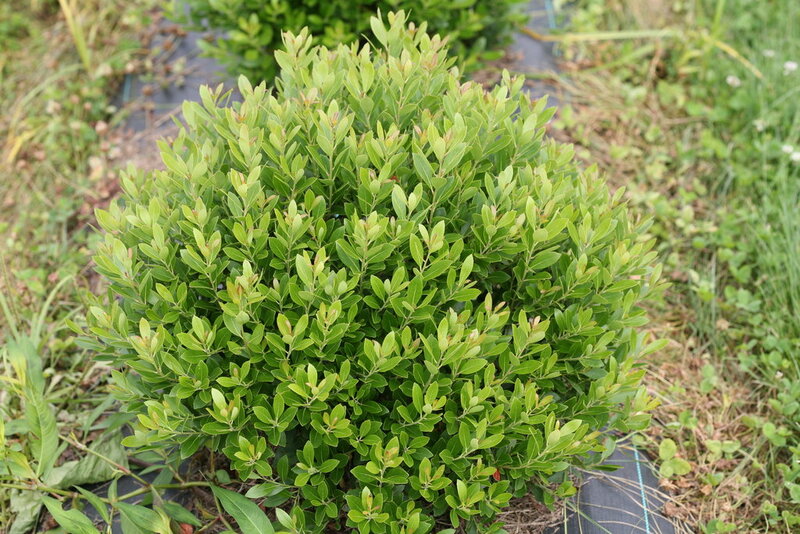 Plant Strongbox® inkberry holly instead. 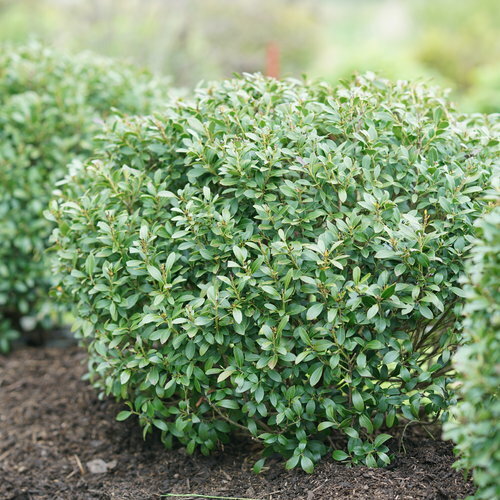 This native evergreen naturally grows as a broadly rounded mound, and keeps its leaves all the way to the ground for the lush, dense look you love. It can be pruned or shaped as you desire, or left to attain its neat natural shape. 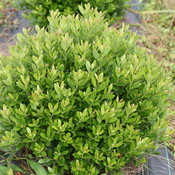 It's also much faster growing than boxwood, and offers good deer resistance, too. Available in better garden centers in spring 2019. Naturally mounded shape and evergreen. Resistant to disease, pests, and winter burn. 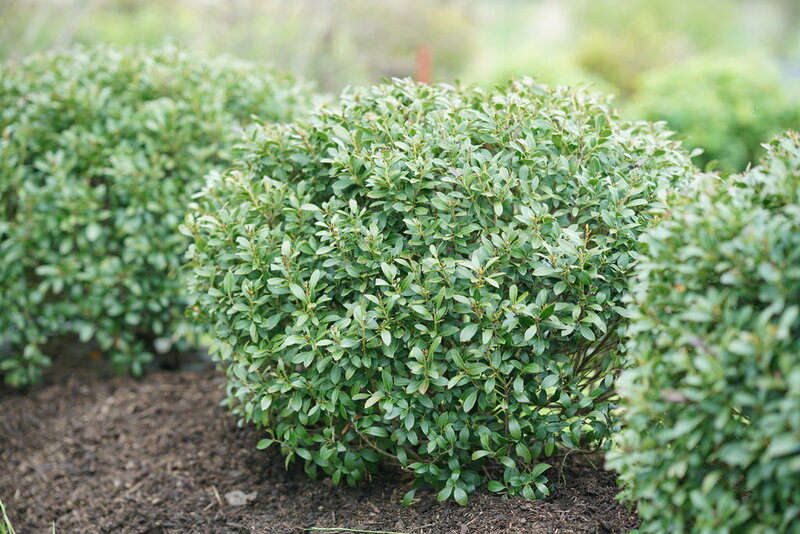 Plant Strongbox inkberry holly anywhere you'd use boxwood - as a hedge, edging, or specimen. 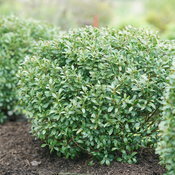 Strongbox inkberry holly is a bit broader and less rounded than our other inkberry holly, Gem Box®. 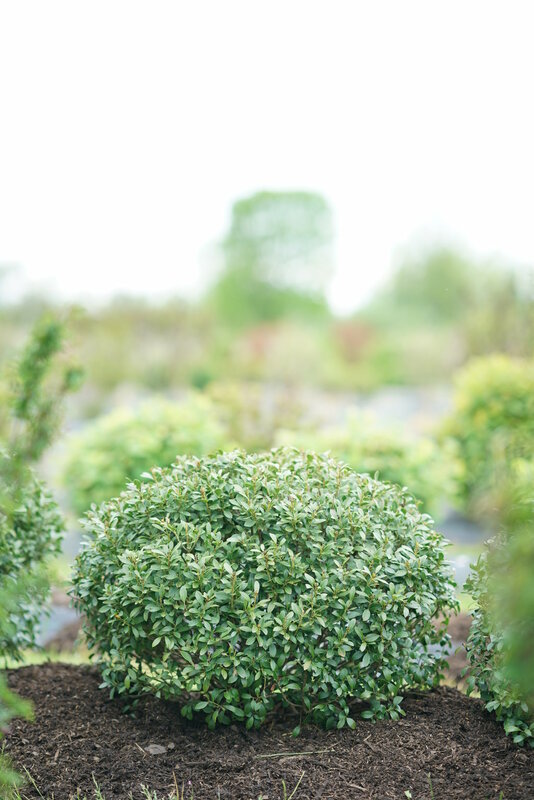 Little care is needed to enjoy Strongbox inkberry holly in your landscape. It has shallow roots, so a 2-3" layer of mulch is a good idea. If you wish to trim or prune it, do so in mid-late spring, after the new growth has emerged. Strongbox is a female variety and will develop black berries if a compatible male pollinator is planted in the vicinity. The berries of inkberry holly were used by Civil War soldiers to make ink for their personal correspondance.